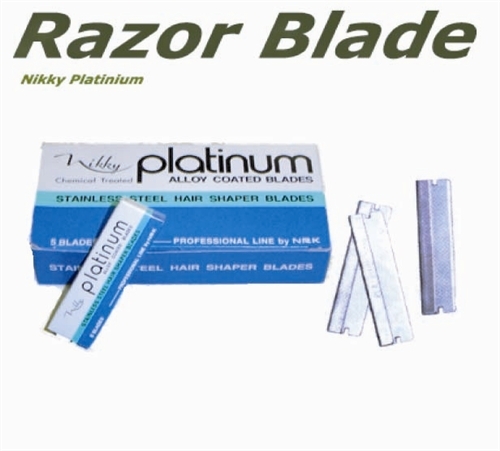 Quality top stylists rely on... for control and performance, because the Nikky Hair Shaper Blades are precision manufactured of the highest grade surgical stainless steel tempered, sharpened and honed to exacting standards. 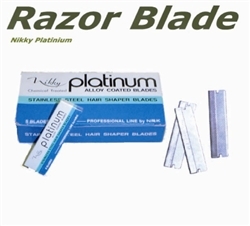 Each blade is then glide coated with the patented miracle polymer Vydax for unsurpassed smoothness and durability. Be your creative best... with Nikky coated edge technology you can shape... feather...sculpt...and texturize all kinds of hair even thin, delicate types with confidence.